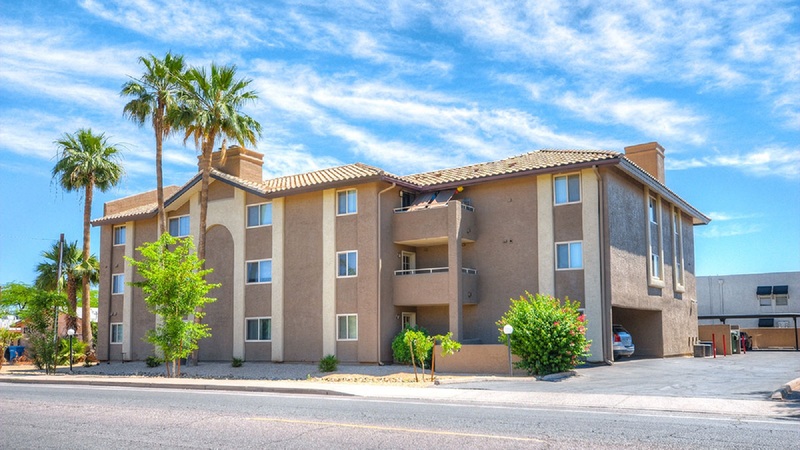 Phoenix, AZ – September 10, 2018 – ABI Multifamily, the Western US’s leading multifamily brokerage and advisory services firm, is pleased to announce the $2,525,000 / $157,812 Per Unit sale of La Patio Apartments located in Phoenix, Arizona. Built in 1986, La Patio Apartments is a three story, garden-style apartment community that features 16 units in one rental building constructed of wood frame and stucco. The property has pitched concrete tile roofs and rests on approximately 0.46-acre. The unit mix consists of (5) one bed and (11) two bed units with an average size of 893 SF. Interior renovations include granite countertops, newer cabinets and appliances, and wood-like flooring. This apartment community also provides its residents with a swimming pool, balconies, fireplaces, carports, and washer and dryers present in each unit. The location of the property rests in between Downtown Phoenix and Old Town Scottsdale, north of Phoenix Sky Harbor. The seller is an Arizona based private investor. The multifamily brokerage team of Royce Munroe, Ryan Smith, Rue Bax, John Klocek, Patrick Burch, and Nathan Bruer represented both the buyer and seller in this transaction.